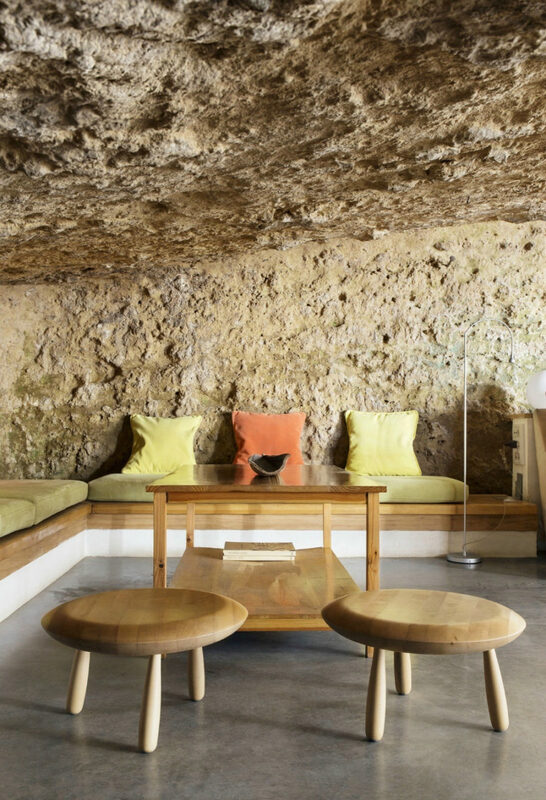 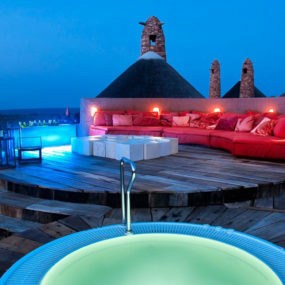 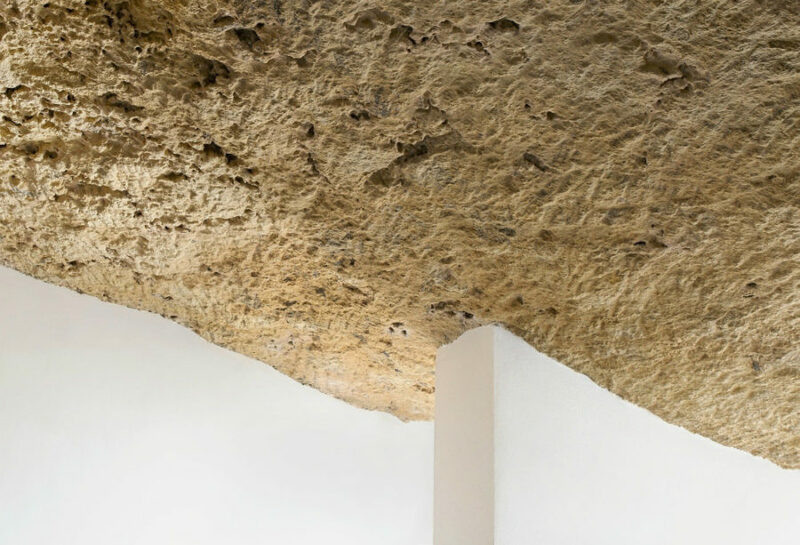 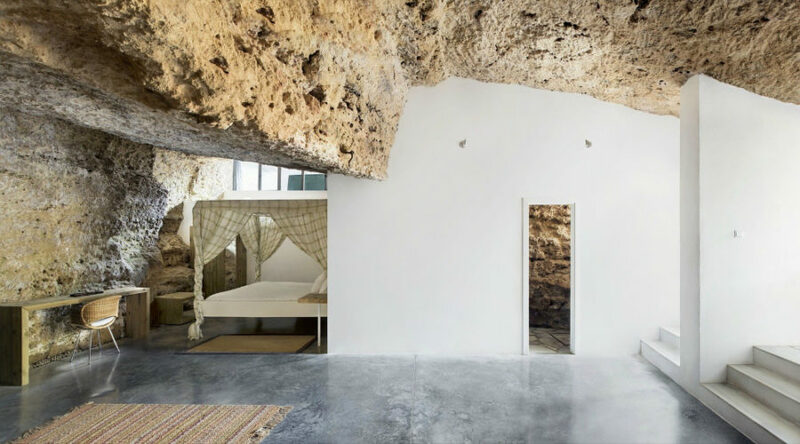 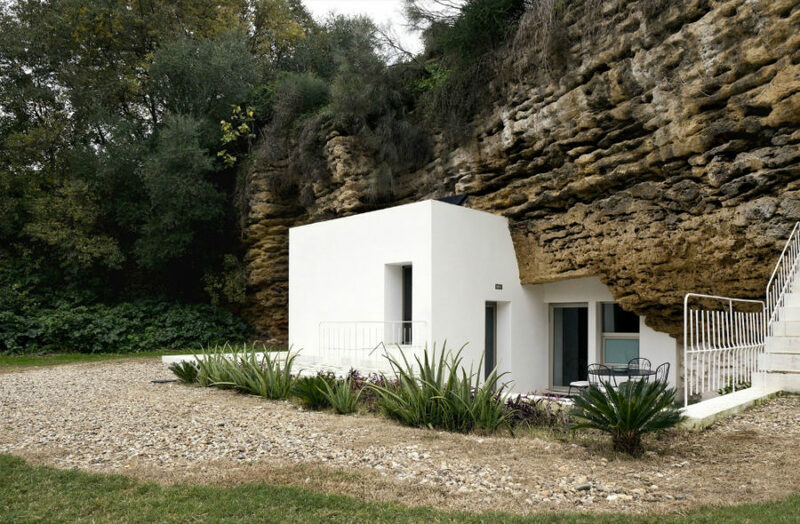 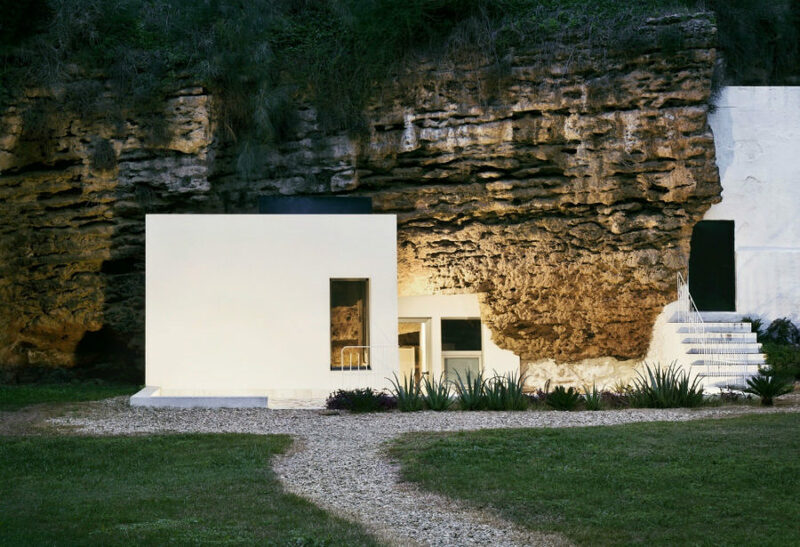 Cave House in Cordoba, Spain isn’t just a home with a quirky name. 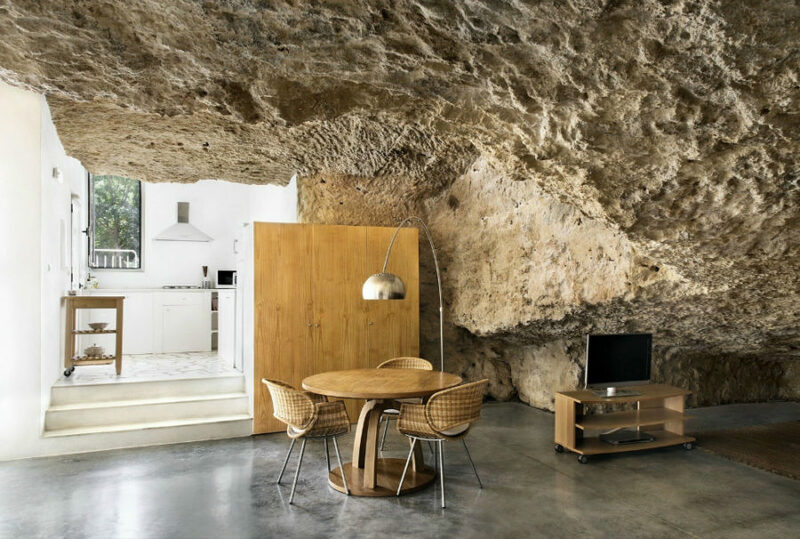 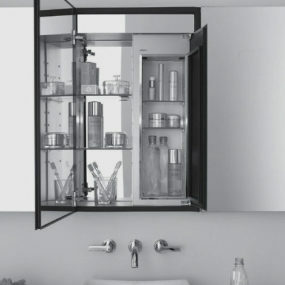 Designed by , it really is part cave part modern house with an open layout, bright kitchen, and beautiful bathroom. 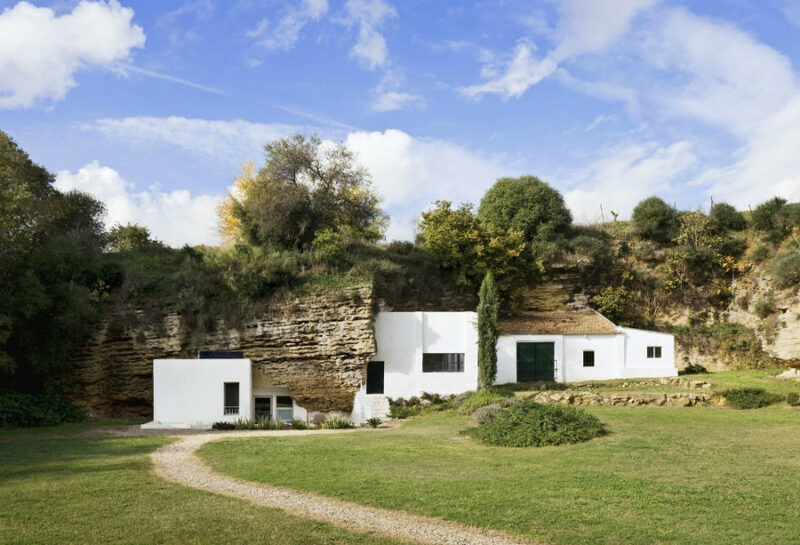 Masterfully built into the foothills of Sierra Morena, the white plaster home has plenty to show and boast. 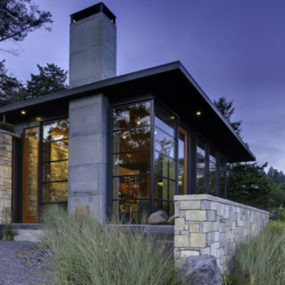 Its naturally uneven front lawn deserves a special note, providing residents with spacious outdoor lounge area. 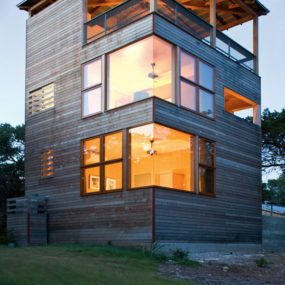 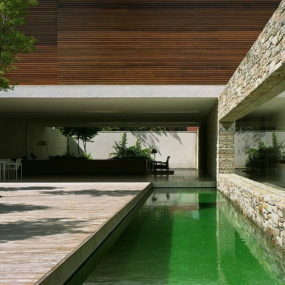 With multiple accesses indoors, the house combines all the areas into one airy, free-flowing layout. 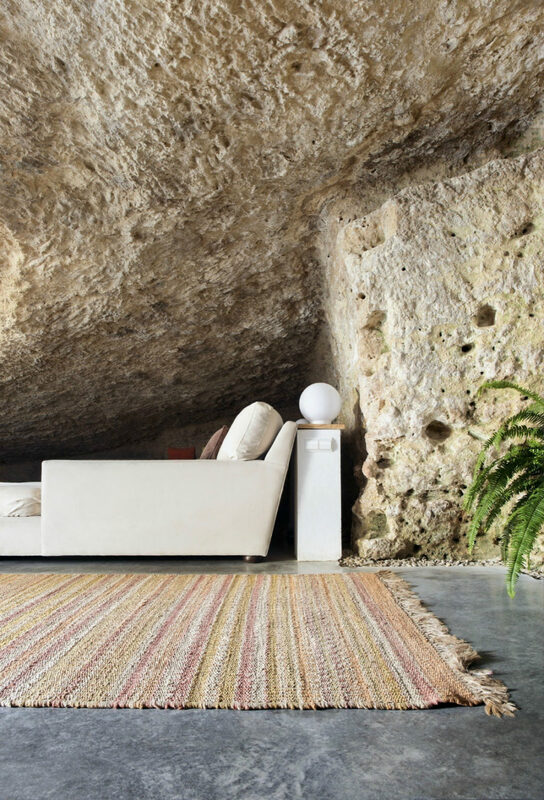 A canopy bed stands just right there almost next to a living room sectional. 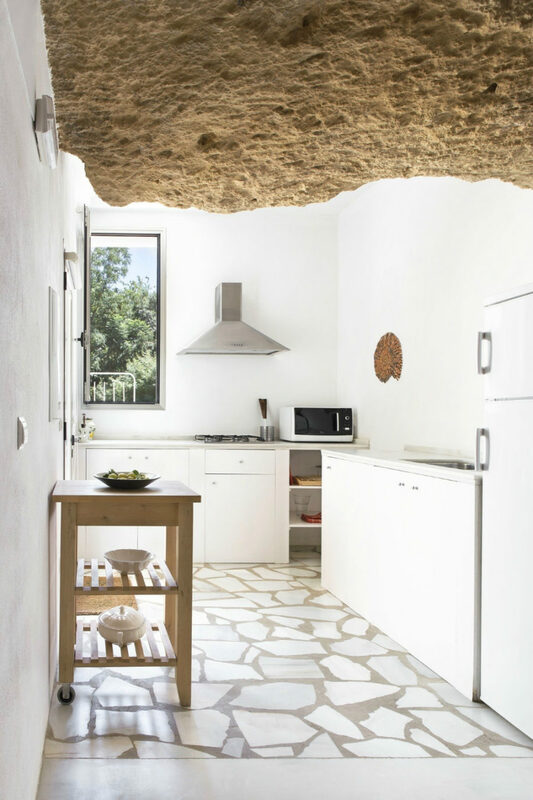 A platform kitchen takes advantage of the interior architecture and furnishings to stand separate from the rest of the house. 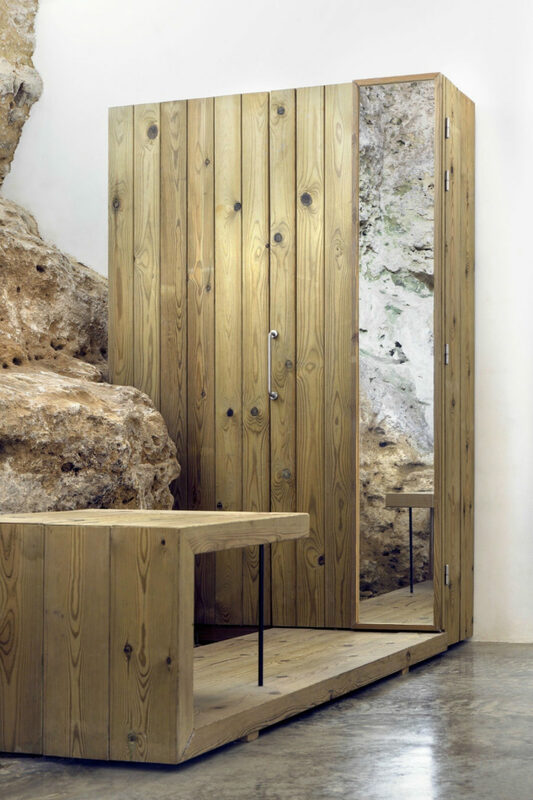 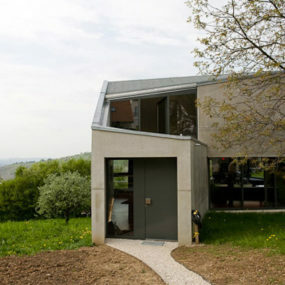 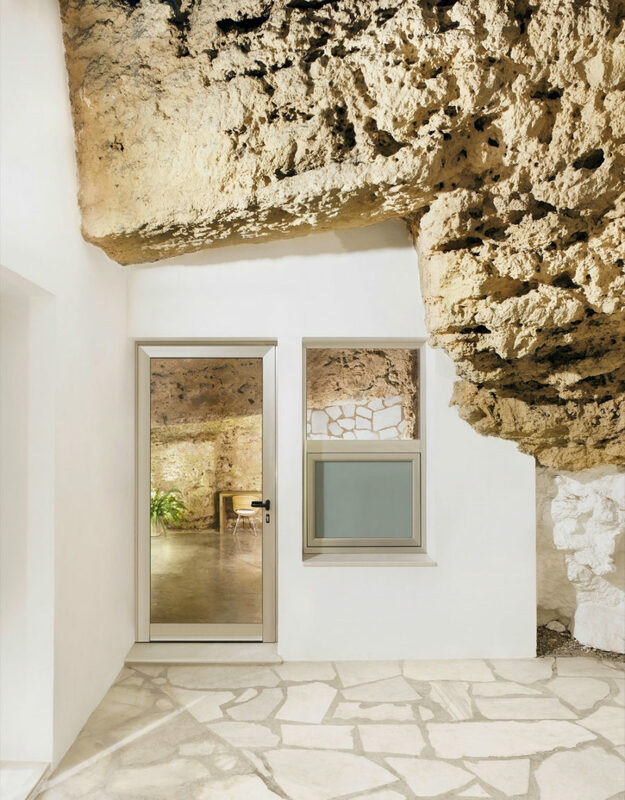 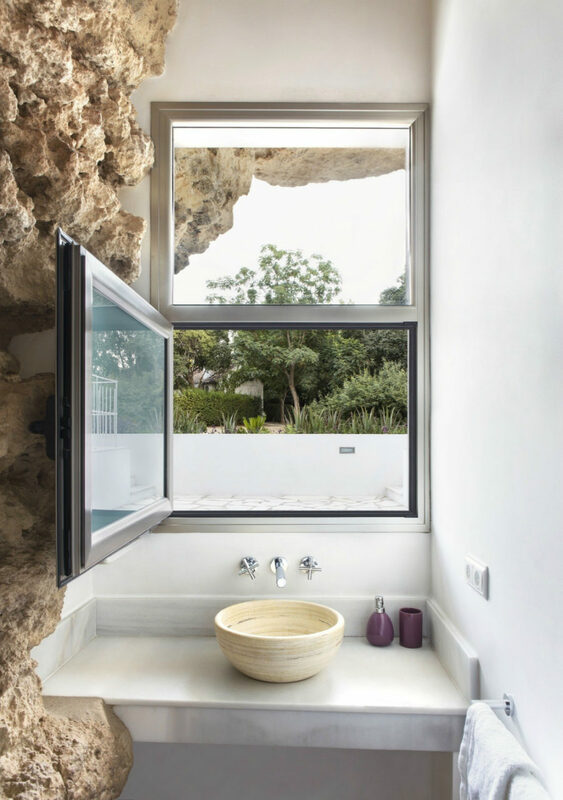 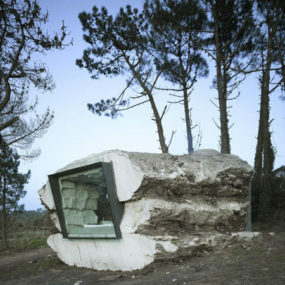 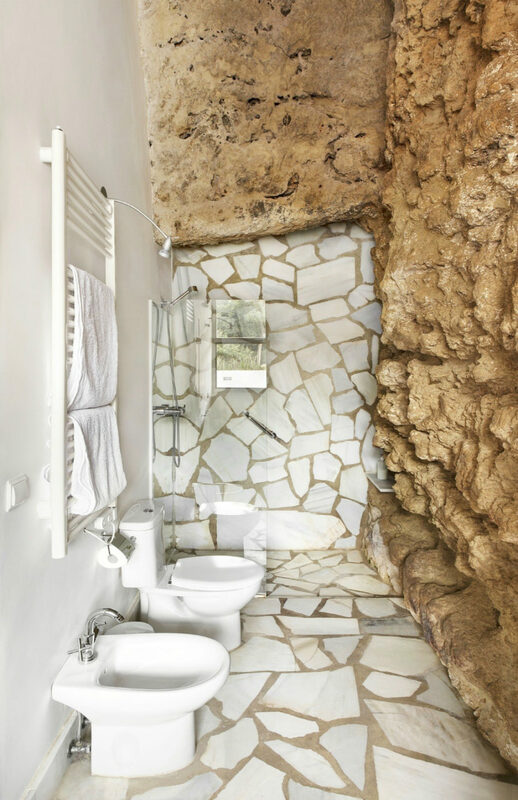 The bathroom is also discreetly placed between rock and plaster. 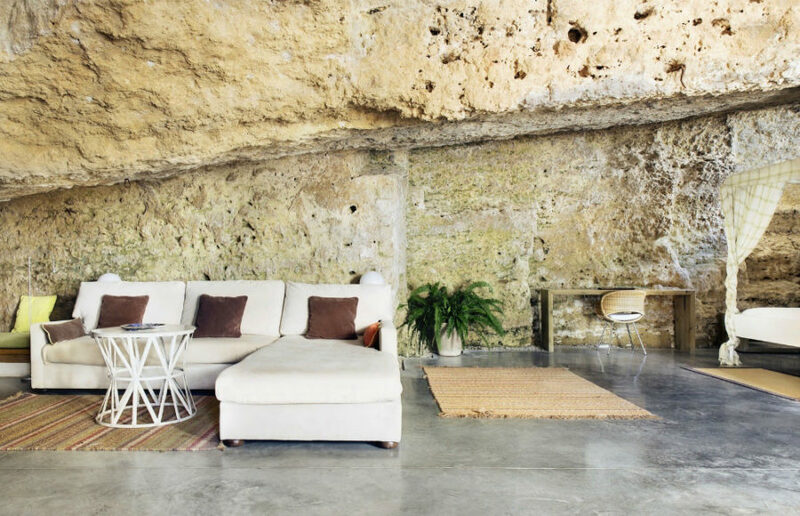 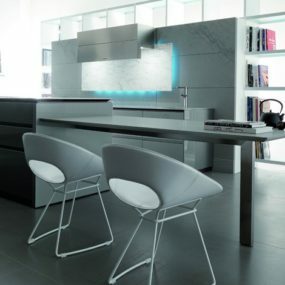 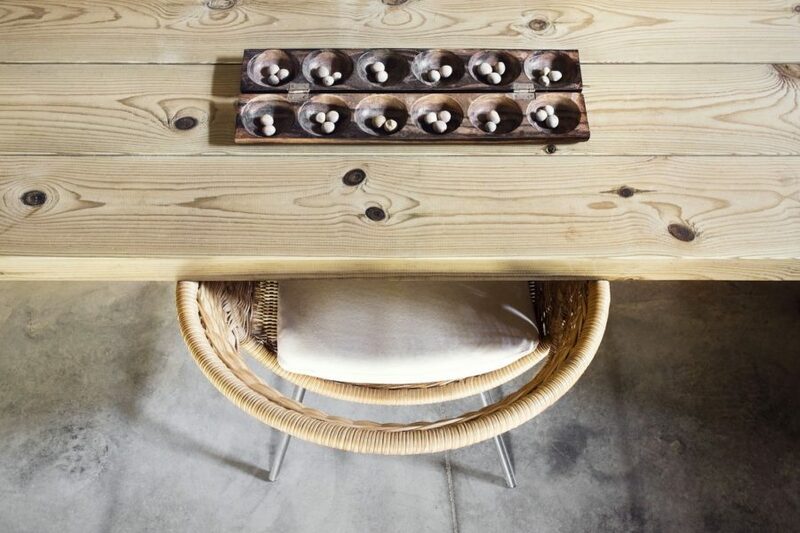 Polished concrete does a beautiful job serving as a mediator between pristine white walls and irregular sandy rock.